WE ARE A RETAIL OXFORD NURSERY OPEN TO THE PUBLIC - PLEASE CHECK OUR OPENING HOURS BEFORE TRAVELLING - WE ARE ON APRIL OPENING HOURS - click here MAIL ORDER ALL YEAR AROUND! Welcome to the internet showcase of Silk Tree Nurseries Sculptural Plants . 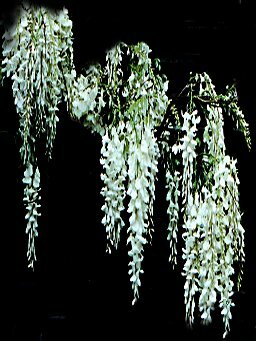 We are a mail order, and retail nursery in Oxford specializing in Wisteria, Grape Vines, Jungle & Exotic Plants, 6ft Climbers, Bamboo, and Japanese Plants. We ship large plants every week all over the UK and this website can be used to order plants from the nursery. The nursery is open for visitors all year round and our opening hours vary each month (click on Contact & Map). Mail order all year round. Please click on CONTACT & MAP on the left of this page to view a map. Please use the links on the left of the page to navigate the sculptural plants website. SILK TREE NURSERIES, The Mill View Plant Centre, Ladder Hill, Wheatley, Oxford. OX33 1HY. Hawks, eagles, and owls for flying!